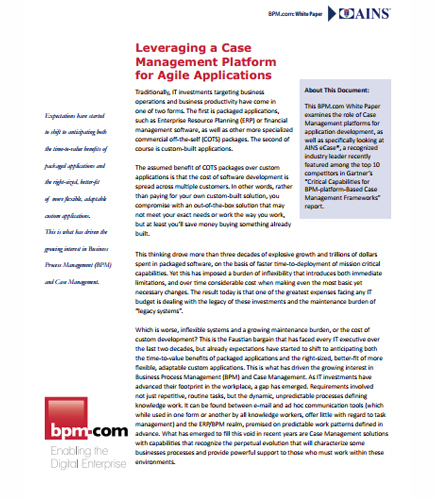 "Case Management Platform for Agile Applications"
This case management whitepaper helps you in the examination of the role of Case Management platforms for application development. As the traditional packaged software fails too often to address the unique requirements of knowledge work, which is complex in nature and subject to frequent changes in definition, the organizations have started leveraging a case management platform for agile applications. Automate mandatory and discretionary tasks with adaptive case management.